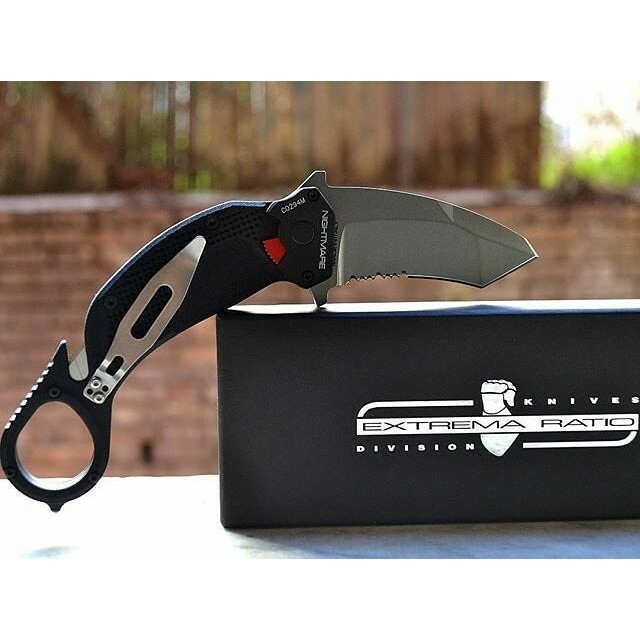 Extrema Ratio is proud to present the new development of karambit folding knife with rescue characteristics. 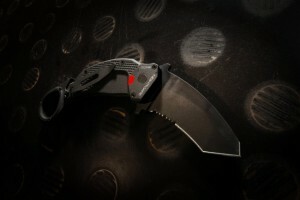 It has been adopted by the special units of U.S.I.V.P. Principality of Monaco Police. Its name comes from the development and consultancy department of Monaco special intervention units. 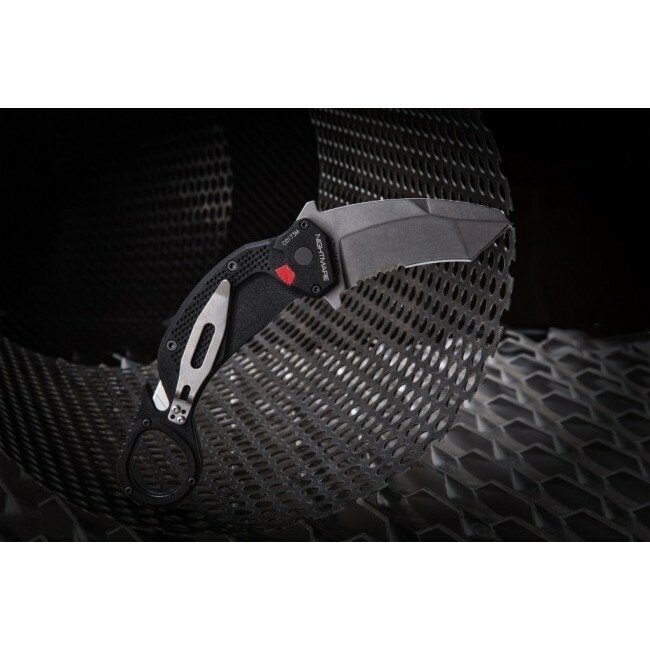 It comes with a standard industrial-grade cutter blade which is easily replaced, a reversable pocket clip, a glass braker placed in the finger ring. It is produced both in black and stone washed version.